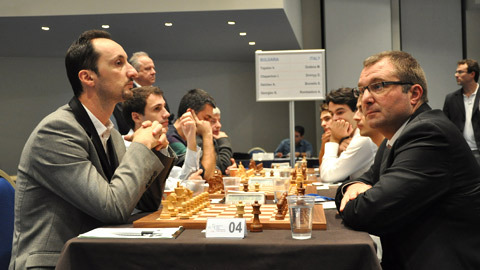 Thanks to Arkadij Naiditsch’s victory against Teimour Radjabov, Germany shocked Azerbaijan and caused a huge turmoil in the Open section of the European Team Championship. 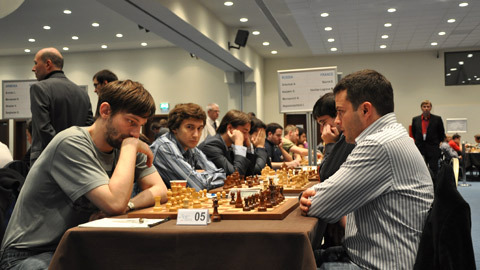 Meanwhile, Armenia signed a creditable victory against the Netherlands, with full points from Levon Aronian and Vladimir Akopian. Now Armenia is sharing the lead with Germany and the two teams are paired to play each other in the last 9th round. 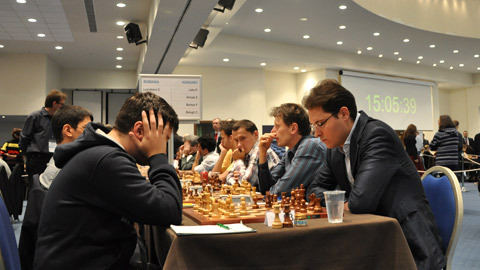 Bulgaria defeated Italy in the match, which Fabiano Caruana missed, and is now sharing the third place with Azerbaijan. Romania signed yet another excellent result by tying with the higher-rated selection Hungary. 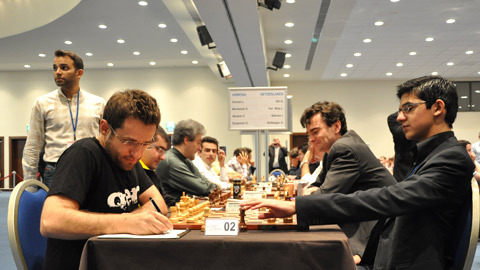 Russia recovered after the setback in the middle of the tournament and won against the strong selection of France. 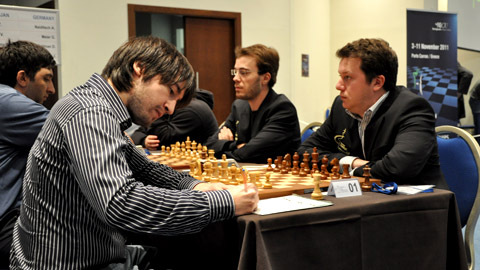 Alexander Grischuk and Sergey Karjakin scored for Russia, Morozevich – Fressinet finished with a draw, while the fantastic Christian Bauer beat Ian Nepomniachtchi. Bauer now has 6 points from 7 games.